A section of the NRM Parliamentary Caucus legislators at the National Leadership Institute in Kyankwanzi. 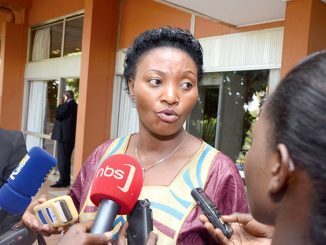 The National Resistance Movement (NRM) Parliamentary Caucus has endorsed the Party’s Central Executive Committee (CEC) resolution to have President Yoweri Kaguta Museveni as their candidate in the 2021 polls. 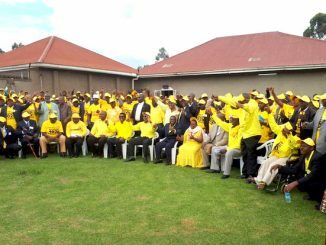 Last month, the NRM top decision making organ- CEC made the resolution at its retreat at Chobe Safari Lodge, Nwoya district. Mulindwa said Asamo’s position was unanimously supported by the legislators. The endorsement by the NRM Parliamentary Caucus means that Museveni who has been Uganda’s President since 1986, will now contest for a sixth term in office. He will be 76 years old in 2021. 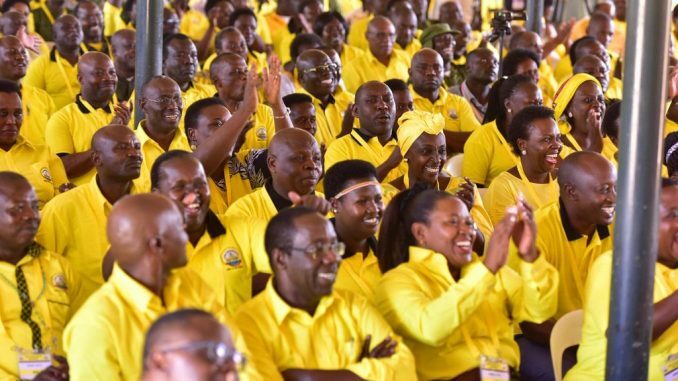 In the 2016 presidential elections, the NRM party also endorsed President Museveni as the sole presidential candidate after former Prime Minister and the party’s Secretary General Amama Mbabazi expressed interest in contesting against Museveni. Mbabazi was subsequently forced out the party. 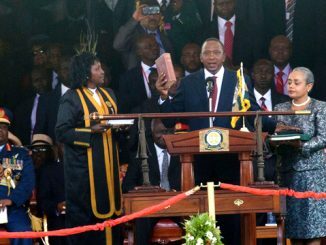 This publication has learnt that the MPs are now set to debate lining up as a method of voting in the Party’s internal elections. The method was also proposed by CEC in February.